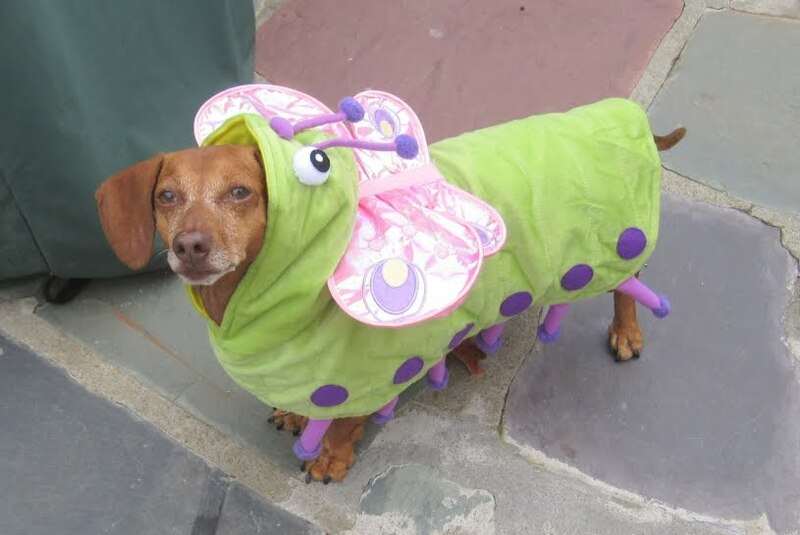 "I was in the backyard the other day & I saw this beautiful little caterpillar transforming into a butterfly!" 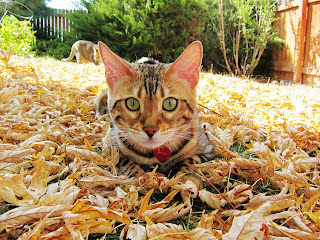 "This is Maya Lee, a Bengal cat. She is a spunky playful character who loves the autumn leaves." "This is Nimshai and Sonny in their Dr. Seuss inspired Thing 1 and Thing 2 pajamas. I got a wild hair one year and decided they needed something special. They have worn these to Home Depot and had lots of people, especially kids, get excited about seeing them in their jammies. 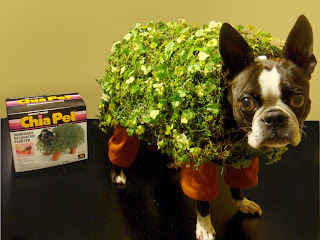 I keep thinking I need to make them some Super Hero jammies next..."
" This is Echo our boston terrier dressed as a chia pet!" 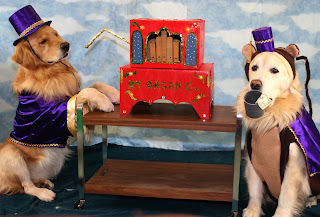 "Phoenix is dressed as an organ grinder, pushing his home-made organ on a cart. 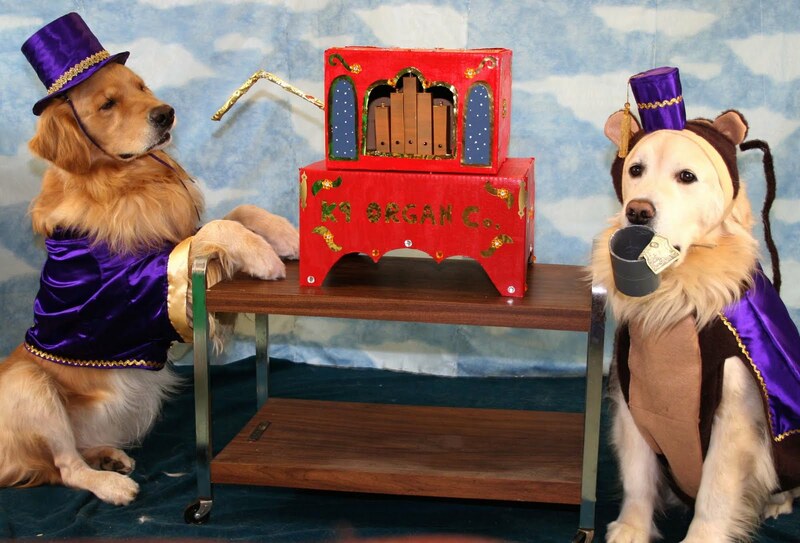 Aladdin is his organ grinder's monkey, collecting tips in the tin cup he is holding in his mouth." 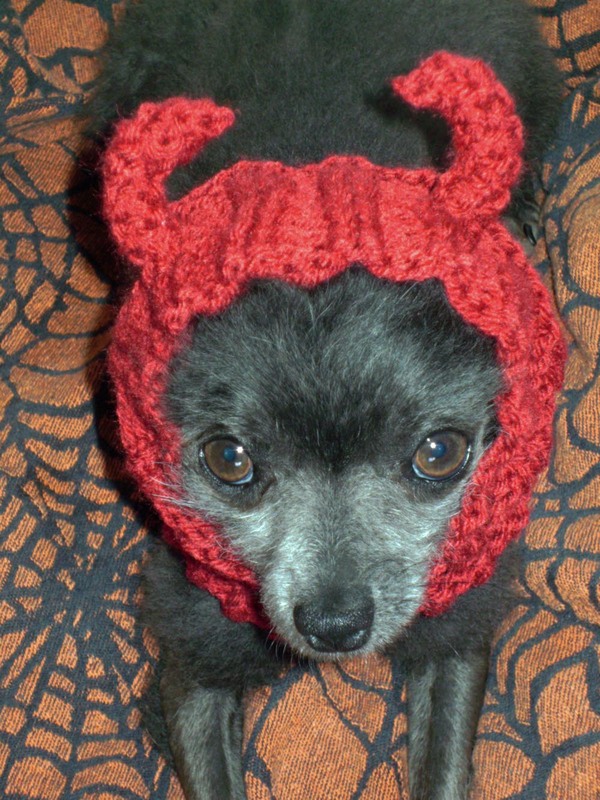 "Dressed-up boy, Lil' Magnum, can't wait to get the party started... Woof...."
He is the Devil this year because he is in desperate need of confidence. Being a Pomeranian born with little to no hair is very damaging to his ego, lol. " 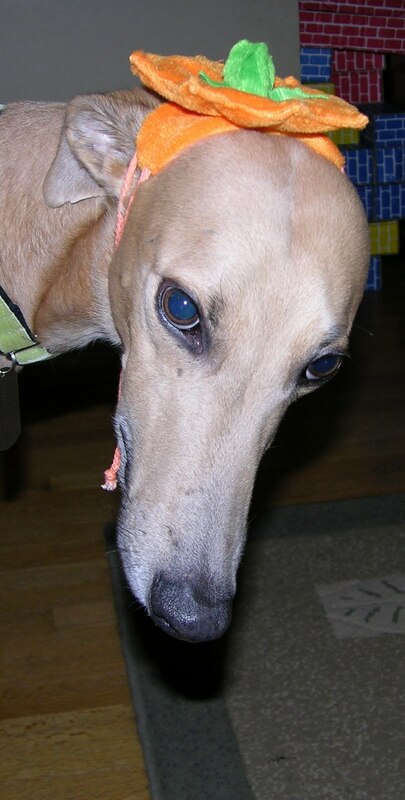 "Here is a photo of my beloved Ramon the Jester, a beautiful fawn greyhound who passed tragically 4 years ago this October. 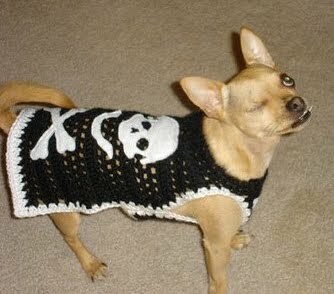 He was such a character! I will miss him forever! Enjoy my boy! :) "
"Don't let their faces fool you. On the left, hand cuffed to the floor is Giupetto, the kleptomaniac. This is his second incarceration for slipper theft. On the right is his sister and accomplice, Gianna, who is in for sock theft and attempted assault and battery on a pet parrot. 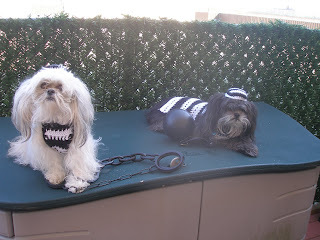 She's a little tough girl and needs a ball and chain to keep her from escaping." "Andy passed away, but he was always the best autumn kitty. :) "
"Sasha here. 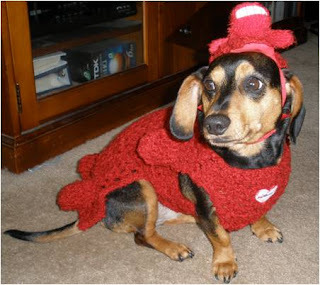 I am going to be a Bobo for Hallowiener Day this year!! It is my favorite squeaky toy ever, and now I is one. I am so excited. 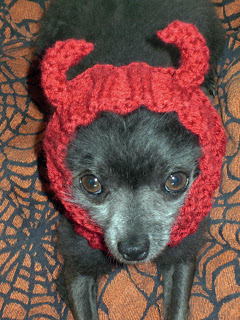 I just hope the big dogs don't destuff me at the Hallowiener Day party though!!" October Pet Photo Contest: "Costumed Critters & Autumn Animals"
Animals." Show us your pet in costume, or in an Autumn or Halloween setting. 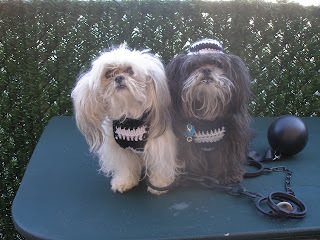 Send in your photo, slide show, or video of your pet. Add some words to be posted with their pic to go along with the theme. We'll be accepting entries from October 1st through the 31st noon EST. Visit us in the forums where we'll be hanging out and introducing the new entries.